Listed below are images from the Lashmar Photo Archive that will be of particular interest to researchers gathering information on the period of the Cold War, especially spy flights and the Cuban missile crisis. B-17 Picture of B-17s intercepting liner Rex. 776 miles out to sea. 1938. (Curtis E.LeMay. Navigator) NASM. B-36. Flying with Golden Gate Bridge ? Behind. Small print. NA. B-36 in flight photo from slightly behind looking up. NA. B-57 – Martin version. Pic from BAe but they do not own copyright. PBY4 – pix taken on ground at Gibraltar? Same unit as one shot down in Baltic 1950. PL. RB-47 of the 1350th Photo Group Alex. Va. Pic take in front and above flying aircraft. NA. RB-47 in flight. From front sideways. NA. RB-50 SAC reconnaissance aircraft in air. Early 1950s. sideview.-NA. RB-52B. In flight pic taken looking upwards from the side. 1955. NA. RB-57 – USAF version of Canberra. NA Various pictures including extended wing length and changes engines for high level. mid 1950s. One pic in the air and the others on the ground. NA. Bison – A flight of three Myasishchev M-4 bombers in the air. A5 photo size. NA. PR-9. Flying low level. BAe? PR9s in production at Shorts Brothers. Belfast. Copyright unbclear – BAe? Comet – ex 51 Squadron Comet in disrepair at Duxford. Colour. 1980s/90s. Paul Jackson. Comet – in background of personnel pic of 51 Squadron. RAF Wyton. Aug 1966. (From Geoff Gardiner). Lincoln? Looks like a flight of Lincolns with belly pods and limited gun turrets. In air. Possible ELINT. Crown. Mosquito – photo recon? VL619. In air photo from right underneath. Crown. Spitfire – PR21? In air sideview. Crown. Washington – B-29 in RAF colours. Full frame flying away and to front. PRB 1655. Crown. Military encampment (Missile) Los Palacios, Cuba. 15 Oct 1962. Overhead shot. U2. Including markings. MRBM Launch Site San Diego De Los Banos. 15 Oct 1962. U2 Pic. NA. Harbour shot high level – Cuba? NA. Soviet Ship ‘Volgoles’ en-route to Cuba. Four Missiles can be seen on board. NA. Russian Ship in Casilda Port. RF101 photo at low level. NA. Bunch of unmarked recon photos. Possibly some come from the early SAC bombing exercises. One pic also has water buffalo marked. Includes negatives. Sculthorpe Operations. Various pictures of personnel and planes that flew overflights into USSR 1952-54. Pictures of captured American POWs in Korean War. Various sources. 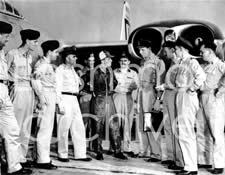 PL with Hal Austin and crew. 1995. 51 Squadron – Comet in background of personnel pic of 51 Squadron. RAF Wyton. Aug 1966. (From Geoff Gardiner). 540 Squadron personnel picture. RAF? Crown? 192 Squadron photo RAF Watton, Norfolk. Pre 1958. OC Wing Cmdr Norman Hoad. (from Geoff Gardiner) with Washington and two Canberras. Air Marshal Sir Dermot Boyle. Portrait photo. Crown. George Davis û Korean war fF-84 pilot. POW? Gen George Goddard. “The father of US Aerial Photogrpahy”. 1940s? NA. Joe Gyulavics. Ex-USAF. Florida 1993. Colour. 1956 Siberia mission. PL. Lt Gen Laurence S. Kuter. Four different pictures printed on low quality paper. At various ages and in uniform and civvies. USAF laser prints – public domain). Richard C.Leghorn. Photorecon camera genius. circa 1959. Copyright unknown. Picture of B-17s intercepting liner Rex. 776 miles out to sea. 1938. (Curtis E.LeMay. Navigator) NASM. 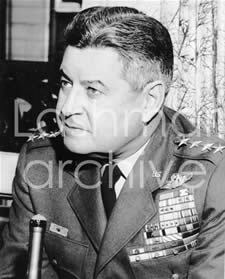 Gen Curtis E.LeMay visits Allard works in UK. Six pix. (Copyright John Farthing – refer to James Oliver). Gen Curtis E.LeMay on board ship 2 Aug 1954. NA. Gen Curtis E.LeMay, close up and in full decorated uniform. Late 1950s? NA. Lt Col Richard McNab. RB-47 crew at Thule AFB in Spring 1956 during special penetration missions into Siberia. 26th SRW. Colour. PL. ACM Sir John Slessor RAF. Portrait. Crown. The Red Phone (in b&w) at SAC HQs. 1960. NA.